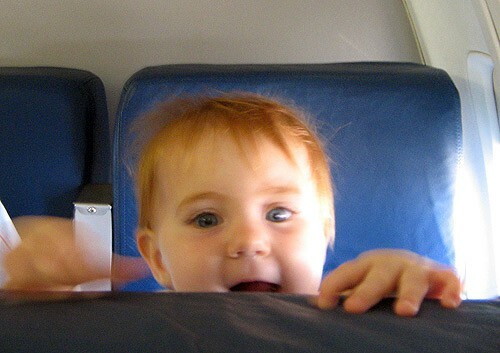 Are you taking your baby on an airplane for the very first time? If so then there’s a good chance that you are nervous about the experience. 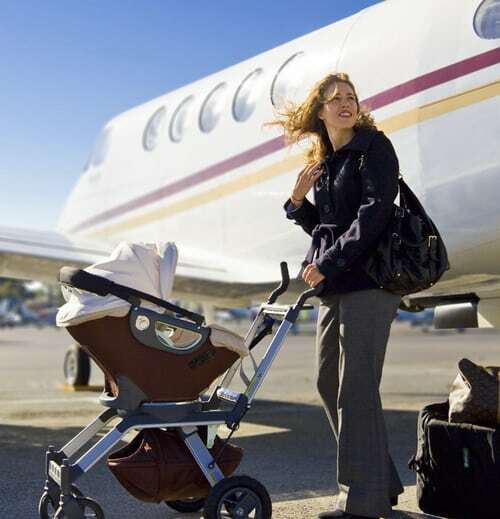 Many parents have questions about safety and health concerns when taking babies on planes. Others are overwhelmed by the process of boarding the plane with the baby and the prospect of bothering other passengers if the baby starts to cry. Arm yourself with the following important tips to get more comfortable with the idea of airplane travel with your infant. Book short flights. More layovers are better than longer flights if you have a long distance to travel. You may even consider staying over a night in a hotel on your way to and from your destination. Consider timing when booking flights. Ideally you want to fly during a time when the baby is likely to be napping. Be aware, however, that if the child has trouble falling asleep on the plane during a normal nap time then the baby will be cranky. Get the extra seat. You aren’t required to buy a seat on the plane for your infant. However, getting the extra seat and putting your infant in a car seat (see below) can make the trip go smoother. Layers of clothing and blankets. Temperature can vary a lot from plane to plane so make sure that you have options for your baby. At least one change of clothes for the baby. There’s a good chance your baby is going to spit up. Plenty of diapers for the trip. You don’t want to be stuck with a baby in a dirty diaper during a long flight! Bring wipes, rash cream, etc. Any medicines that your baby needs. This should go in your carry-on even if the baby doesn’t need them during the flight. You don’t want to be stuck without them in case there’s a delay or your baggage gets lost. Enough food/formula for your baby. You are are allowed to bring formula and breast milk on the plane in amounts greater than the traditional 3 oz. allowed for other types of liquid. However, you need to declare that you have this by letting someone at the Xray machine know. Realize that although this is not required by law, it is something that is recommended by child safety experts for infants and all children weighing less than forty pounds. Just like with car seats in the car, you need to use a forward-facing car seat for infants and children under twenty pounds. The car seat should be placed in the seat closest to the window. Your car seat must be airplane-compatible. Double-check the manual for your car seat to make sure about this. Take advantage of the option to board in advance of others to facilitate getting your infant’s car seat situated. Put snap-on wheels on your car seat to make it easy to get it through the airport. Get assistance. The cabin crew can help you out. Don’t be embarrassed to take their assistance with getting luggage, arranging the baby’s car seat on the plane, warming baby’s bottles, etc. Give yourself plenty of time. Traveling with a baby can slow things down. You want longer layovers and a good amount of time to get from your plane to your hotel. Stop feeling guilty. If the baby starts crying on the flight then you may feel guilty that other passengers are being bothered. This can stress you out, which reduces your ability to deal with the situation well. This just makes things worse. Feel free to apologize once to your fellow fliers or to crack a joke but then let the guilt go. Lindsey has been a travel blogger for over 4 years. Most recently she is blogging for Airline Tickets & Airport Parking, which offers unique travel advice for air travel and getting around airports. I have traveled a lot before and have taken my baby (he is 6 now) in a place but there are some things that you mentioned that I hadn´t thought of.